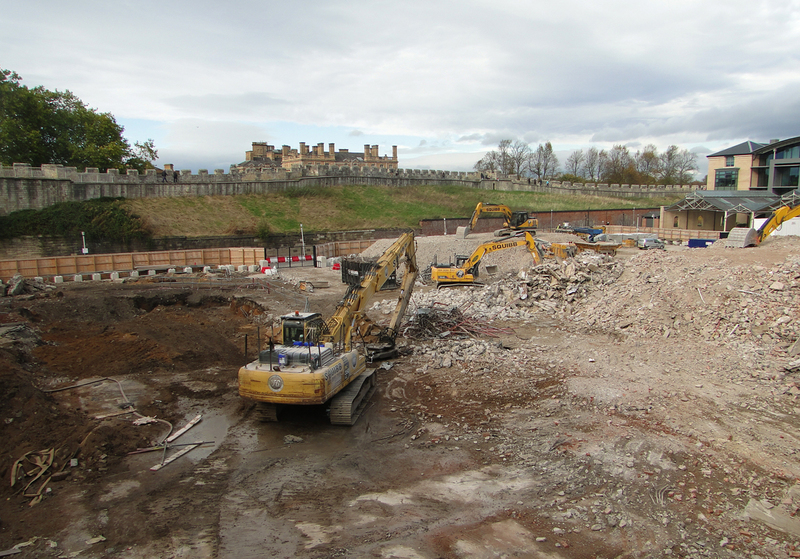 The demolition of Hudson House in central York has now been completed and the new development has been renamed Hudson Quarter to represent the site’s heritage and to create a sense of place and scale. Palace Capital plc a company listed on the Main Market of the London Stock Exchange, owners of the two-acre site on Toft Green, appointed demolition experts Squibb Group to knock down the 103,000 sq ft office building that was originally built in the late 1960’s by the former British Rail. It had become outdated and not fit for modern needs and full redevelopment plans for a mixed-use scheme was approved in August last year. The masterplan for the site includes 127 luxury apartments, 34,500 sq ft of Grade-A office space and 5,000 sq ft of other commercial uses, located in four buildings around a landscaped central courtyard. It will also include a new landscaped link from the train station, opposite the site, through to Toft Green and then onto Micklegate. The new office building will be first of its kind of this size to be built speculatively in York City Centre for more than 20 years. Andrew Sharpe of Make it York, the City’s destination management organisation added: “We are seeing strong growth in a number of sectors in York including financial and professional services and technology sectors, which is in turn creating strong demand for high quality space within the city centre. York is an ideal place from which to do business, it is less than two hours to London by rail and has some of the fastest internet anywhere in the country. The Hudson Quarter redevelopment will take full advantage of this, bringing forward a striking new development in a fantastic location with great access to the rail station and York’s vibrant city centre”. Work is expected to start on the construction of Hudson Quarter in February 2019 and a main contractor will be announced before the end of the year. Residential agents for the development are Carter Jonas and Hudson Moody and Sanderson Weatherall and JLL are the agents for the office building. York-based brand design and marketing agency, Ideas Group, produced the new branding for the development.